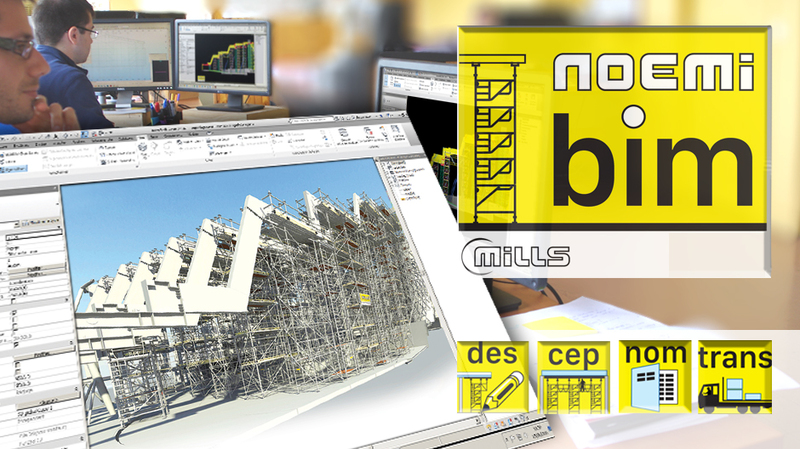 NoemiBIM will guide you in designing shoring equipment and access stairs with Mills Equipment. 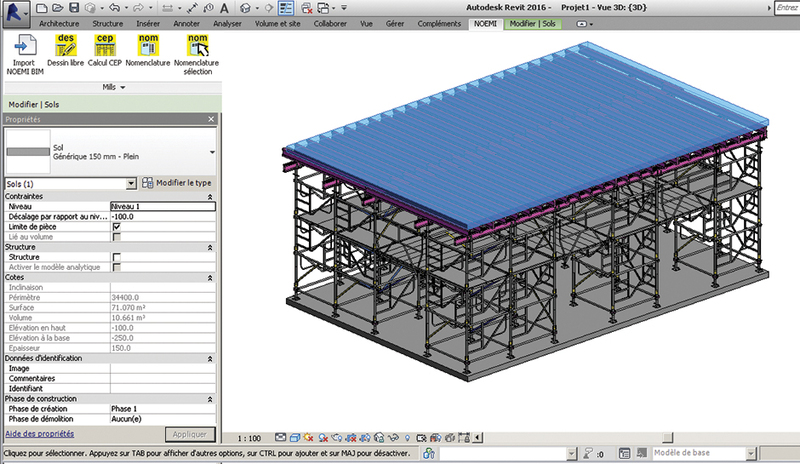 It is compatible with Révit© and Autocad© but can also work on its own, helping you every step of the way. put in your build parameters and let NoemiBIM do all the work. 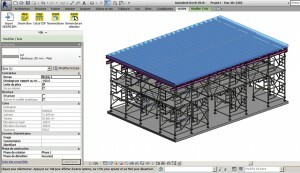 The software proposes a mesh and automatically checks the shoring. from scratch, modify it and the software will automatically update. 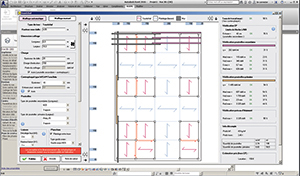 Once satisfied, the software will generate the calculation note. NoemiBIM counts the equipment needed and makes a bill of material. The packaging can be automatically generated: by steps or in its entirety. An estimate of the length of the truck needed to transport all the equipment is available to complete the project. 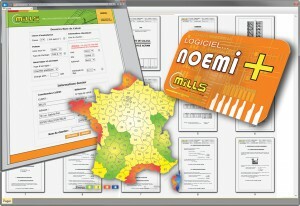 NoemiBIM uses the Mills library, which is available online for free. 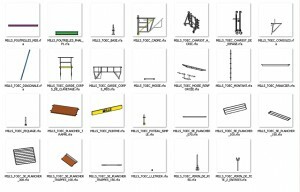 Each model piece has been drawn to minimize project size yet providing enough details. 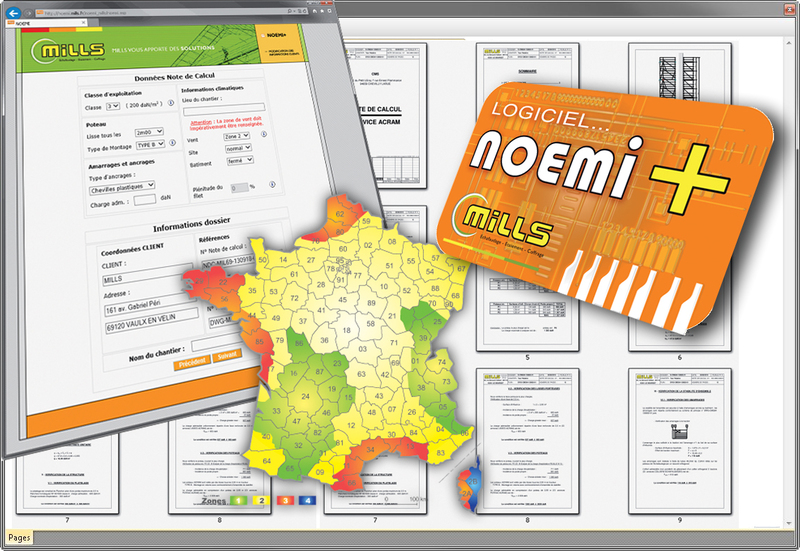 NoemiBIM will automatically update using the Mills Library when a new version is released. 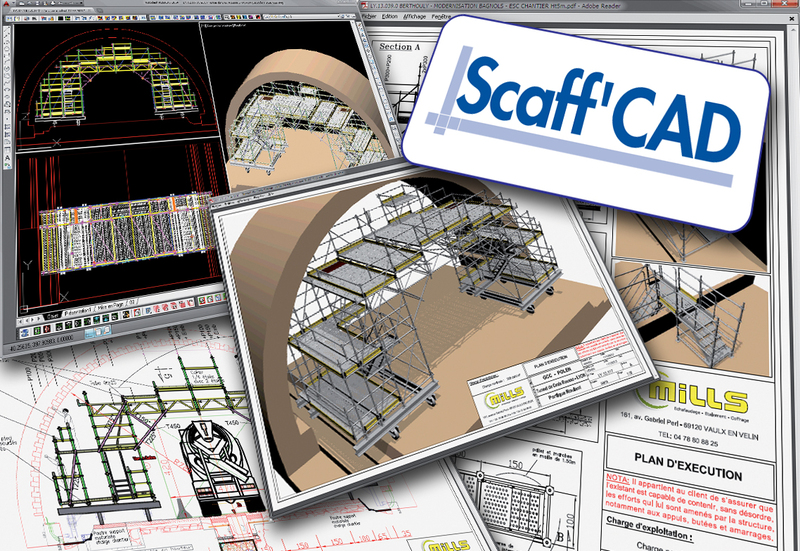 Access NOEMI + to complete your scaffolding calculation notes. 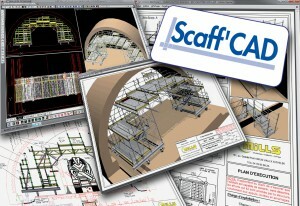 Scaff'CAD for important features and tools in AutoCAD.